The Kuskokwim Management Area includes the Kuskokwim River drainage, all waters of Alaska that flow into the Bering Sea between Cape Newenham and the Naskonat Peninsula, and Nunivak and St Mathew Islands. Commercial and subsistence fishing in this area focuses primarily on salmon and herring. Herring are abundant along the coast of the Kuskokwim area, but there has been little market for commercial herring in some time. 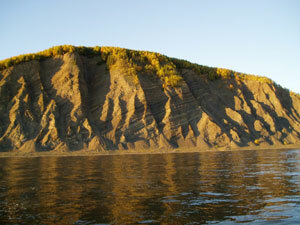 Salmon fishing occurs primarily within the main stem of the Kuskokwim River and in Kuskokwim and Goodnews Bays. Kuskokwim salmon fisheries are noteworthy for the role played by the Kuskokwim River Salmon Working Group, which serves as a public forum for federal and state fisheries managers to meet with local users of the salmon resource and review run assessment information and reach a consensus on how to proceed with management of Kuskokwim River salmon fisheries. Subsistence fishing is of major importance to the residents of this region and the largest subsistence harvest of Chinook salmon in the state is taken from the Kuskokwim River.